Conservationists are hoping new research will shed light on the life of one of Scotland’s most mysterious birds. The Slavonian grebe only began breeding in the UK in 1908, in the Scottish Highlands; its population today remains restricted to northern Scotland where latest counts have shown only 22 breeding pairs remain, the lowest level since monitoring records began. Some experts believe that the fluctuations in climate brought about by climate change is a factor in the decline. As a relative newcomer to the country, many aspects of the bird’s behaviour remain unclear, but conservationists are hoping further study will identify what may be driving a decline in numbers. 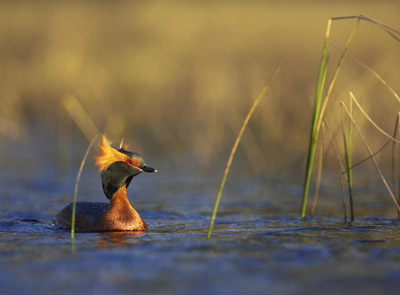 Slavonian grebes are strong swimmers and build their nests in sedge beds. They arrive in Scotland in March/April and leave late summer. The birds are best recognised by their colourful summer plumage and trilling calls. Males have golden ear tufts, black faces and deep red eyes. 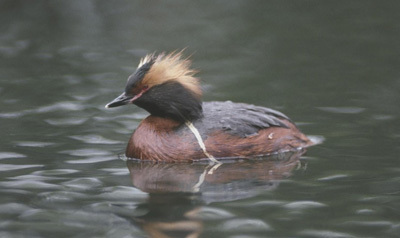 Around 45% of the UK population of Slavonian grebes breed at Loch Ruthven. 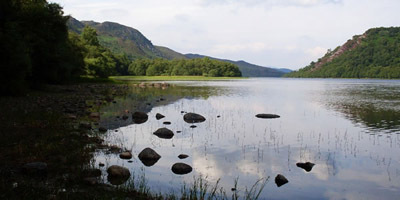 The RSPB has a nature reserve at the eastern end of the loch. In the spring and summer, it is possible to get excellent views of displaying grebes in front of the hide. Despite a worrying decrease in the UK population, 2010 has provided one of the best breeding seasons in recent years. A total of 17 chicks fledged this summer, six of these at RSPB Scotland’s Loch Ruthven nature reserve which remains the best place in the UK to see breeding Slavonian grebes. It is unclear exactly why after two years of no young Loch Ruthven’s breeding pairs were successful in 2010, but it is thought a drier and less windy or stormy spring may have helped. Nests are destroyed by waves, so excess wind or stormy conditions can be damaging. Also this year, staff at the reserve have started introducing a range of conservation measures that they hope will make a difference to productivity among the local population.